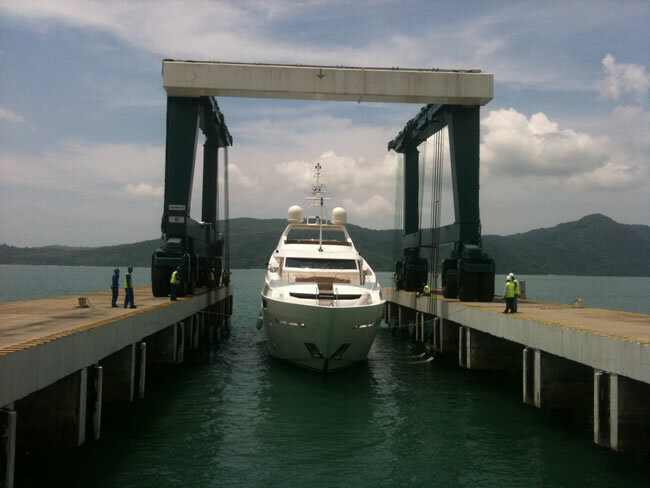 We offer Superyacht support services throughout Malaysia, from our Head office on the Duty Free Island of Langkawi. 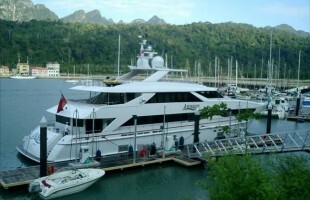 Langkawi has become the center piece of Malaysia's tourist industry, and the premier Yachting destination for the region. 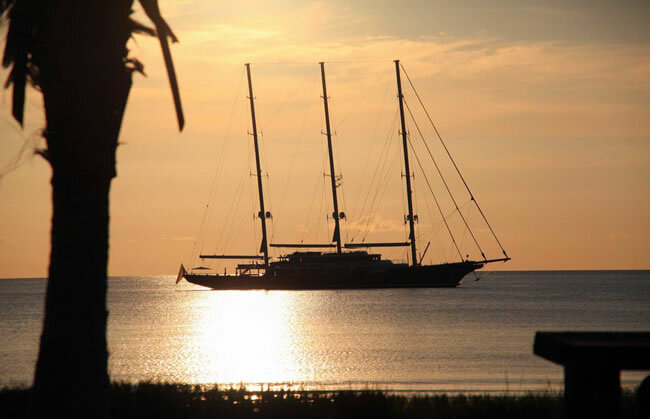 Within Malaysia, it's unrivaled facilities and natural beauty make it's 99 islands the perfect cruising ground for yachts of any size. Langkawi is a DUTY FREE island, located just south of the border with Thailand, and only 98 NM from Phuket. 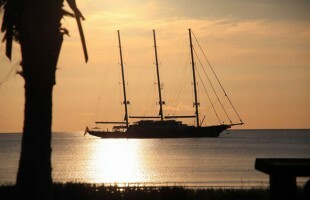 The island offers a wealth of cruising, with natural protection from the elements year round. Dotted around the islands are many pristine beaches, river systems, caves and hill tops, just waiting to be explored. In addition, you will find 5 star hotels, internationally renowned Golf Courses, pristine rain forest, abundant wild life, a town center with all the modern facilities of a small city, and an International Airport. Fuel supplies and provisions are all available at duty free prices, incoming shipments incur only a small Customs clearance fee, saving the ship considerable import duties as charged in other regions. 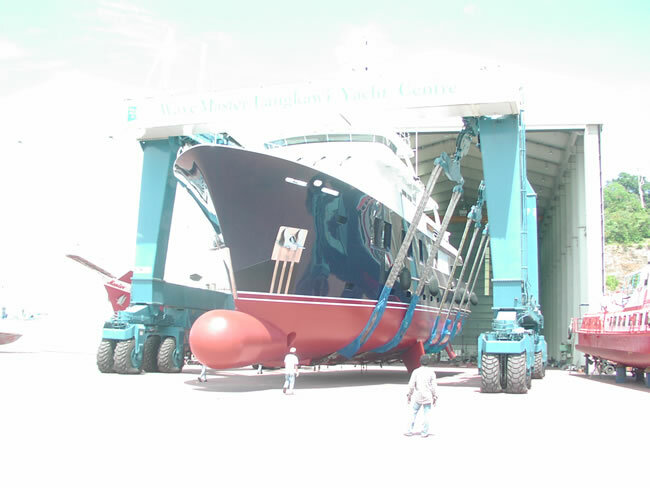 Using our team of industry specialists, combined with economical local labor, and duty free supplies, we can save you both time and money on your repair and refit work, allowing the owner and crew more time to enjoy the wonders of South East Asia. 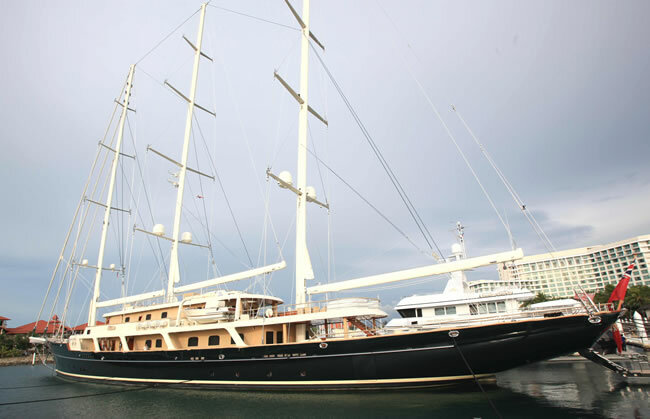 Within a days cruise of Langkawi, you will find the Islands of Penang, Pangkor Laut, Butang Group, Phuket or the Similans (depending on you cruising speed), making Langkawi a perfect logistical center for your Asian season. 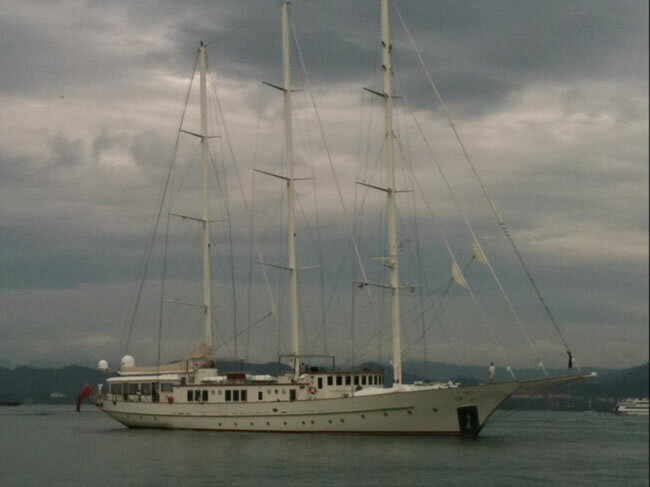 The best time for cruising Langkawi is the Easterly Monsoon season, stretching from October through April, when the conditions provide a gentle 10-15 kt North Easterly breeze, providing calm seas and blue skies. 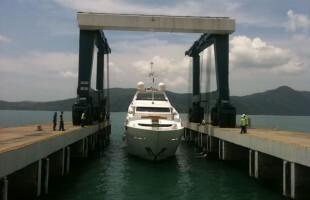 With the Caribbean marinas filling up so quickly, South East Asia will prove to be a breath of fresh air to Captains and owners alike, with its abundant cruising grounds, modern marinas, fresh supplies and repair facilities for any yacht, whether Sail or motor, mono or Multi hull, you will find a home in Malaysia. The APS Times, Edition 2017, is out! The APS Times is out! 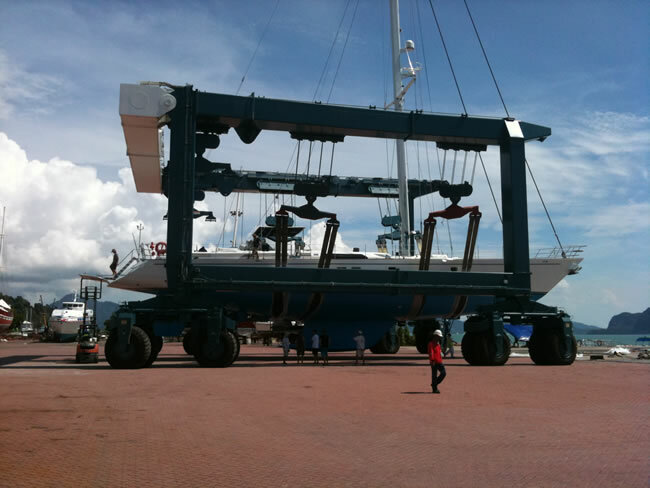 Yacht support services throughout Malaysia are from the Asia Pacific Superyachts head office on the duty free Island of Langkawi, the centerpiece of Malaysia's tourist industry and premier yachting destination for the region. 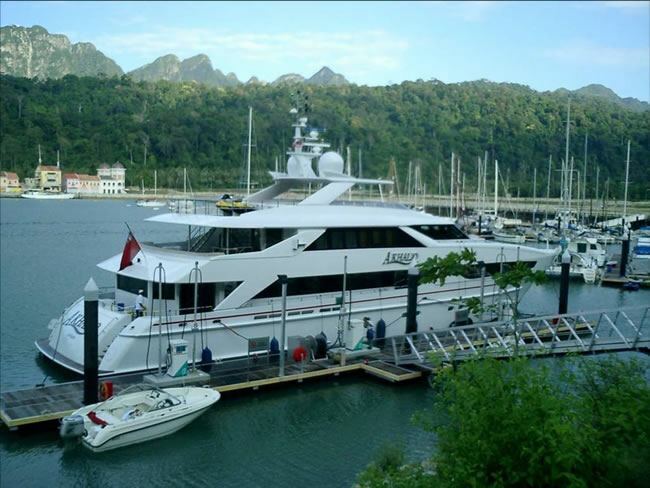 The unrivaled facilities and natural beauty of Langkawi make the surrounding ninety-nine islands of Malaysia, located just south of the border of Thailand and only 98 NM from Phuket, the perfect cruising ground for Superyachts and smaller yachts of any size. Dotted around the islands are many white sand beaches, river systems, caves and hilltops to explore. And there are plenty of 5-Star hotels, internationally renowned golf courses, pristine rain forests, abundant wildlife and a town center with all the modern facilities of a small city, along with an international airport. 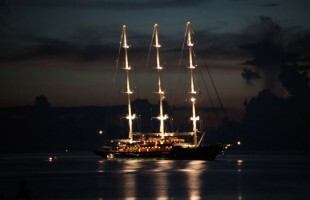 The island offers a wealth of cruising opportunities with natural protection from the elements year round. 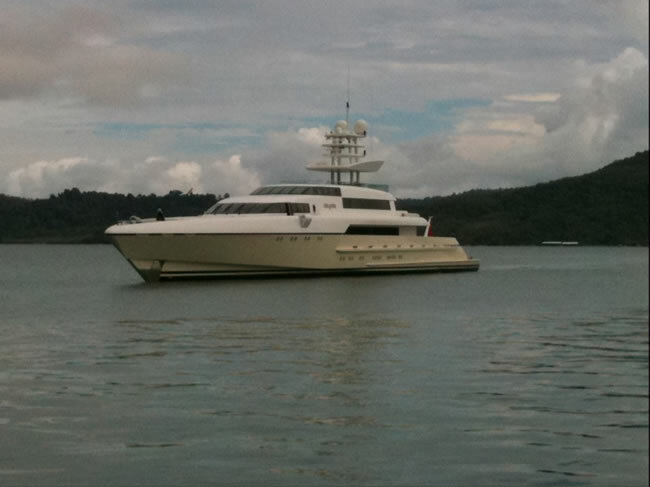 The best time for cruising Langkawi is the Easterly Monsoon season, stretching from October through April, when conditions provide a gentle 10-15 knot North Easterly breeze providing calm seas and blue skies. 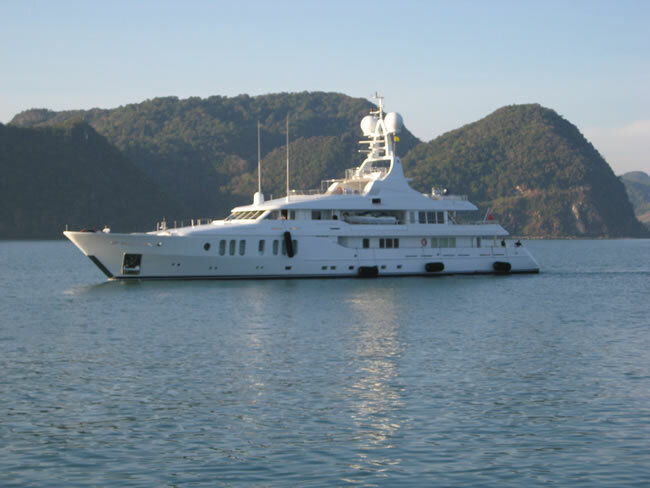 Within a day’s cruise of Langkawi are the islands of Penang, Pangkor Laut, Butang Group, Phuket or the Similans (depending on your cruising speed); making Langkawi a perfect logistical center for a beautiful temperate Asian winter season away from the cold European climate. 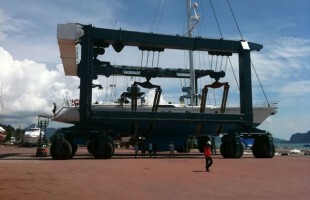 With the Caribbean marinas filling up so quickly, South East Asia is a breath of fresh air to Captains and Owners. 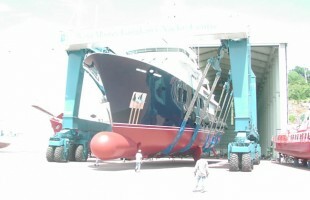 The abundant cruising grounds, modern marinas (3 main marinas), cruise terminal and refit dock for berthing vessels up to 200M L.O.A., fresh supplies, duty free fuel and goods and repair facilities for any yacht (whether sail or motor, mono or multi hull), make Malaysia a wonderful destination for superyachts. 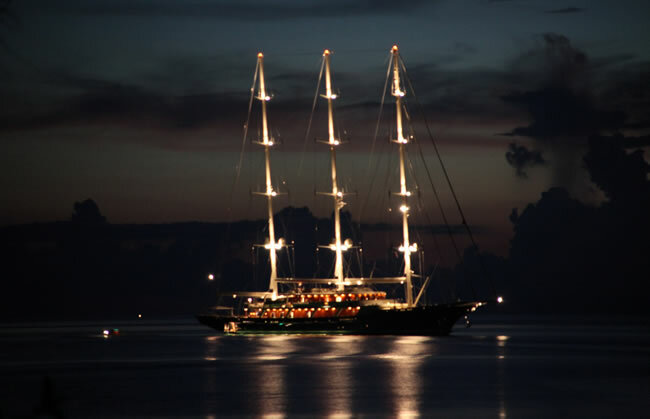 Cruising here offers some of the most spectacular and beautiful waters, islands and mainland attractions in South East Asia. 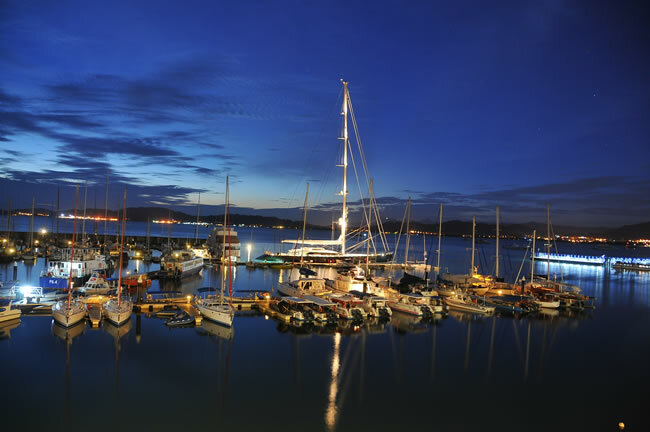 It is one of the most diverse cruising playgrounds in the world, combining the delights of crystal clear waters, tropical islands and mainland coastal bays with an extraordinarily diverse mainland beauty. The highest mountain in South East Asia, virgin rainforest conservation areas, waterfalls, canyons, exotic wildlife, flora and fauna and a myriad of adventure and eco-tourism activities – are all accessible as a day or overnight excursion from your yacht. The Sepilok Orangutan Rehabilitation Centre in the Malaysian Sabah District of North Borneo is a fascinating place to visit and a truly memorable experience. Also to be viewed as you flow in your boat along the river way you can spot pygmy elephants and the famed ‘long-nosed monkeys’ of Borneo. Retreating into the lush tropical wildness of the ancient and dense Dipterocarp forest, Gayana offers a rare glimpse into a primordial jungle. Caressed by the gently lapping of the South China Sea is the Gayana Island Eco Resort located on Pulau Gaya.The resort has a Giant Clam Rehabilitation Centre and also run a 'Reef Project'. The University Malaysia Sabah runs an extensive marine research program in alternative marine culture programs designed to reduce fishing intensity from Sabah's coral reefs as well as operating a whale shark research program each year when the whale sharks pass through the waters close to Kota Kinabalu, Borneo. There are numerous other activities including white water rafting, cultural outings, agricultural park/orchid parks, and adventure based tours. 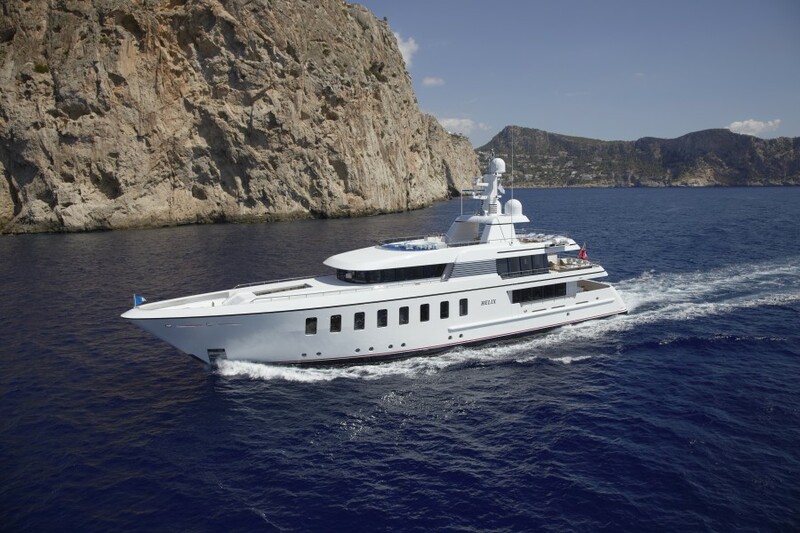 Full itineraries and support for land or water based activities is provided with access to a fleet of four helicopters as well as a fleet of motor yachts, high end cars and other vehicle options. The company can support any requested itinerary and can assist in itinerary building to ensure your experience is truly memorable. 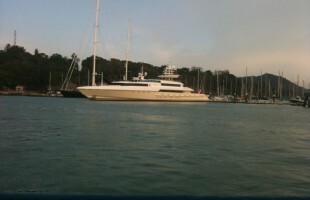 7 days cruising the West Coast of the Malaysian Peninsular, between Singapore and Langkawi. Seasonally, best undertaken between October and March, when the North East Winds are established. Arrive into the International Airport at Langkawi. Optional Runway Pick up from your private Jet by luxury vehicles. 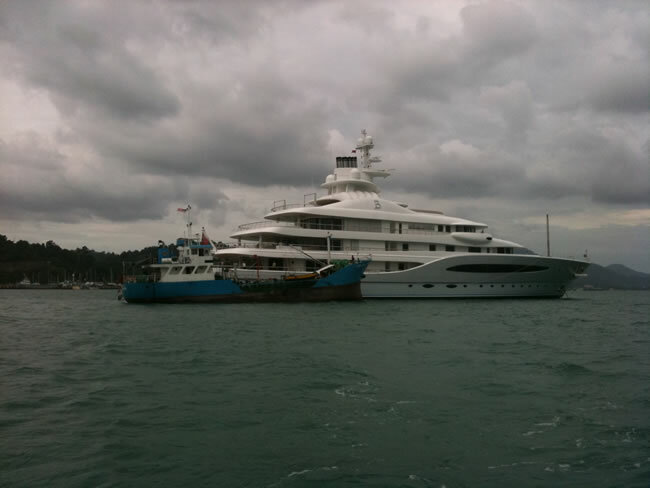 30 Minute drive to both Superyacht Marinas. 15 Minute drive to tender pickup dock. 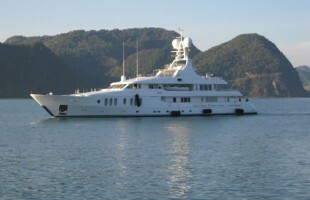 Short Tender ride to excellent Anchorages. Afternoon spent exploring the Southern Islands, including Lake of the Pregnant Maiden, Animal Sanctuary and many deserted beaches. 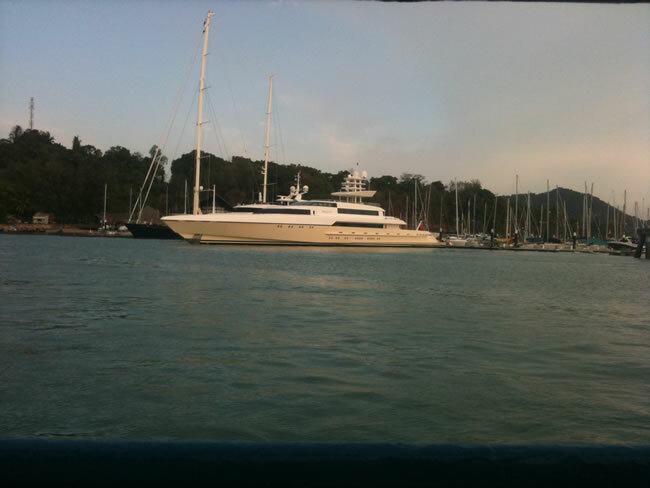 Steam to Eastern side of Langkawi, and explore the Kalim River Geo Park. Feeding wild eagles from your tender. Custom guided tours of the River System, viewing Monkeys, Otters, Large Monitor Lizards, Eagles, Kytes and many other creatures. 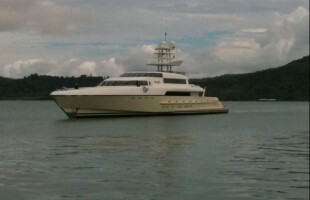 Relocate to the North West coast and anchor in Datai Bay. Spectacular beach, with very few tourists. Access to Datai Hotel Spa, and several exceptional restaurants. Explore the Colonial glories of Georgetown. Sample the many flavours of Penang’s food scene, including the renowned Hawker Food. Anchor off Pulau Pangkor Laut. Explore the One Resort Islands beaches and rainforest walks. 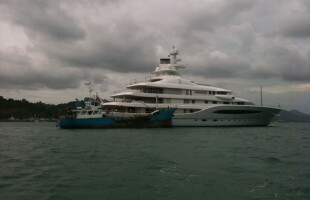 Arrive into Port Dickson, for a short drive to Kula Lumpur. Or drive South to the historic trading town of Melakka. Explore the Garden City. Enjoy some of the best shopping in South East Asia.